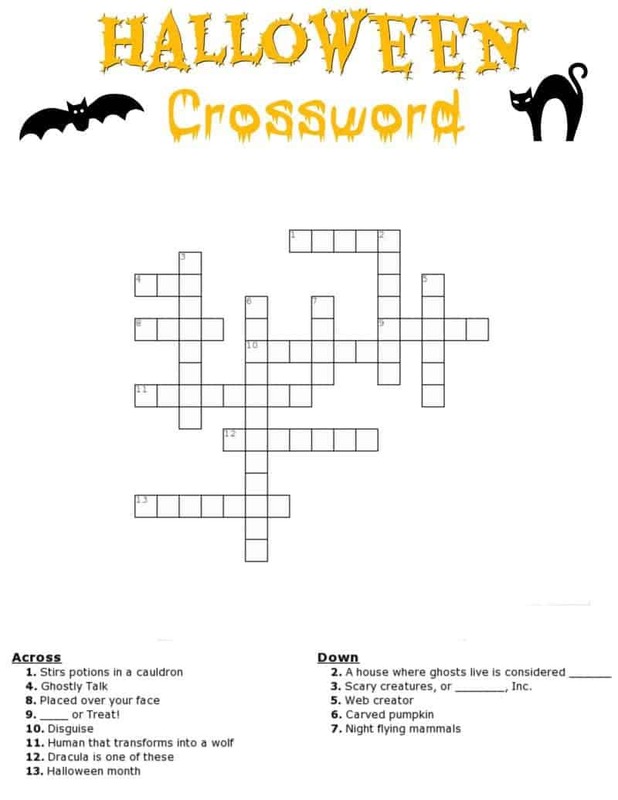 Free Halloween crossword puzzle printable worksheet available with and without a word bank. Perfect for the classroom or as a fun holiday activity at home. Crossword puzzles are a fun activity that fosters learning. Packed with Halloween vocabulary words, these crossword puzzles help to expand vocabulary and reinforce spelling skills. 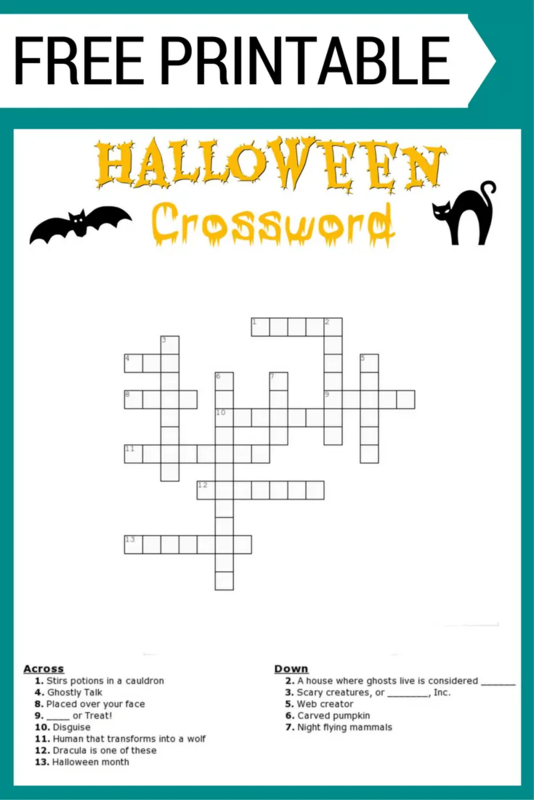 This fun Halloween crossword printable is available for download both with and without a word bank. While the word bank makes the crossword puzzle easier to complete, if you are looking for a more challenging crossword removing the word bank is the way to go. Simply download the PDF, then print out the crossword puzzle on your home computer. 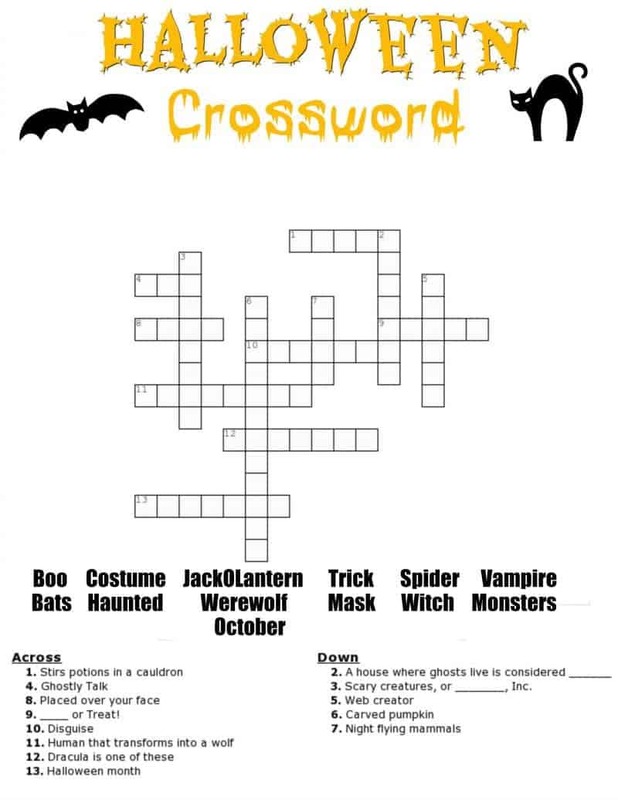 This crossword puzzle would be great for handing out in the classroom as a fun Halloween activity for the children. It would also be a perfect activity to have have your children do at home just for fun. For more Halloween fun be sure to check out our Halloween Word Search and Halloween recipes such as our witch hat cupcakes or ghost donuts! games from your mobile phones.